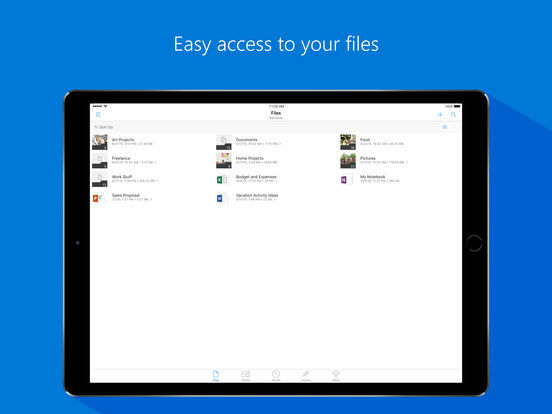 • For users using a personal OneDrive account, folders now have previews of the images inside them. We are constantly looking for new ways to improve our new design, so please keep the feedback coming. • We now display more file type icons in the iMessage app and share extension. • Fixed a bug where some files would incorrectly show 0 bytes as their file size.